The Flexi-Cylinder is a flexible delineator post that is available in three sizes. It is fitted with two retro-reflective bands that make it easy to spot in low lighting and poor atmospheric conditions. The key purpose of the Flexi-Post is to delineate traffic flow where complicated road layouts may confuse drivers. The post its self is flexible enough that if a vehicle strikes the post it will pop back into position without damage. 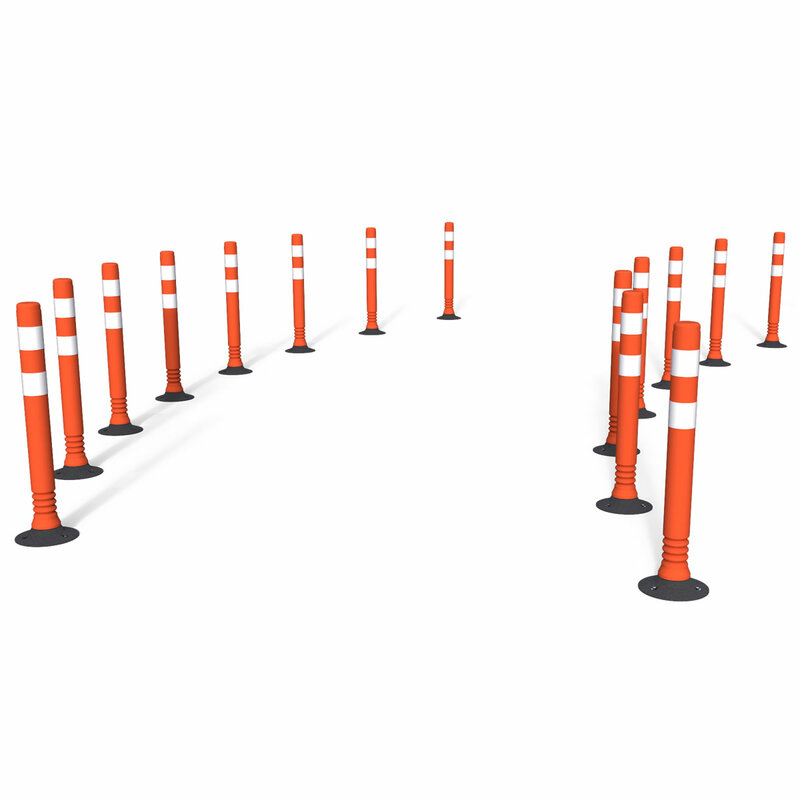 Flexible delineation of traffic through construction works. Separating out incoming and outgoing traffic in parking lots and warehouses. 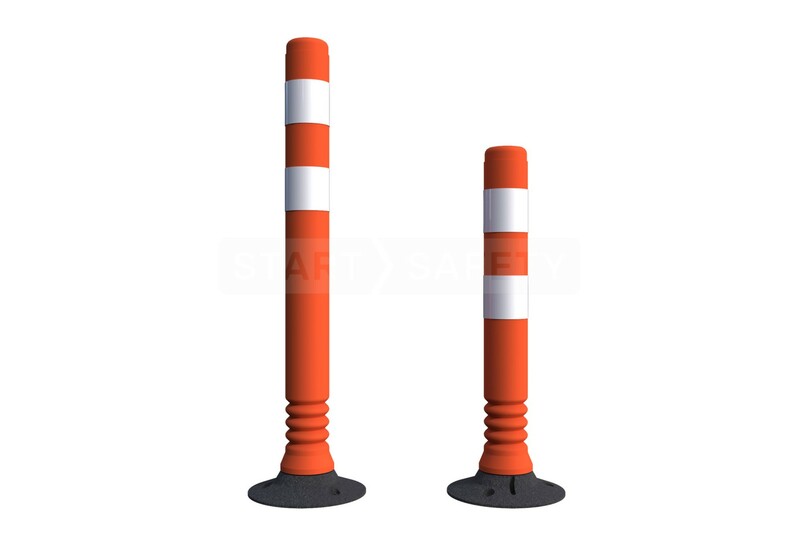 This flexible delineator post is not only physically flexible it is also flexible in the applications it can be applied to. There are two different heights of post available 29" and 39". 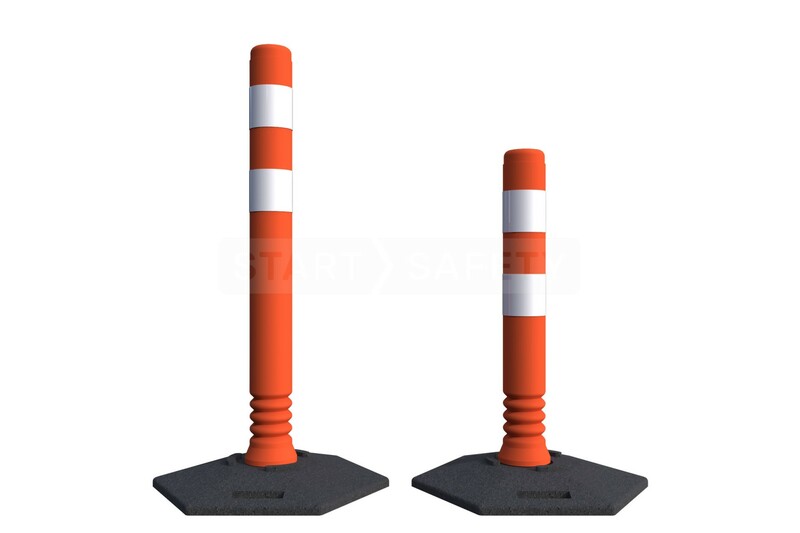 You may need a taller post if you are using the flexi-post in an area mostly used by big rigs and semi trucks. Alternatively, for forklift and car traffic you may want to use a slightly lower post. 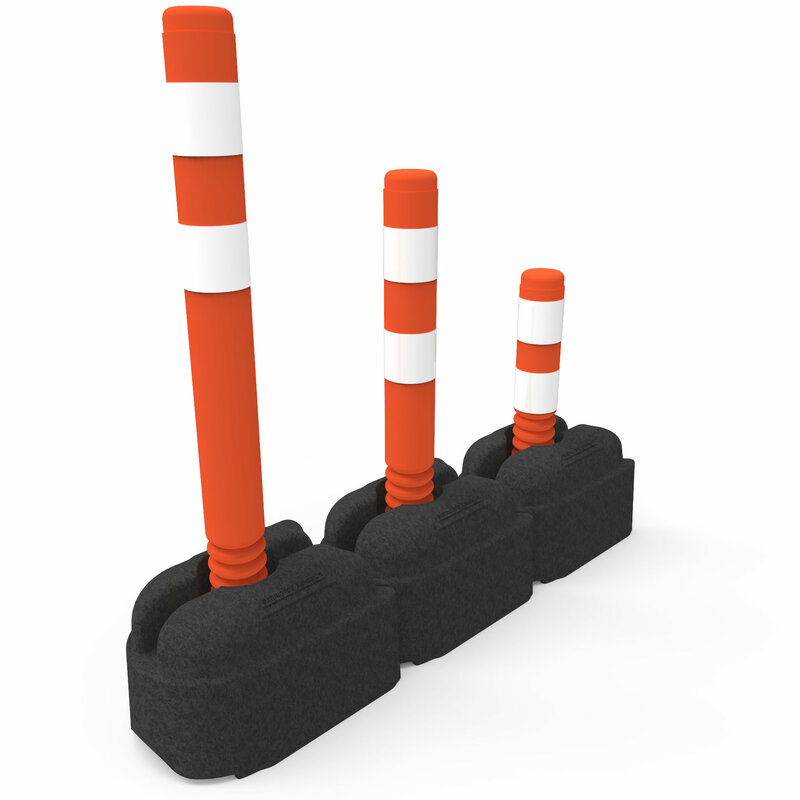 Ultimately the different sizes give you plenty of options when designing your traffic control system. 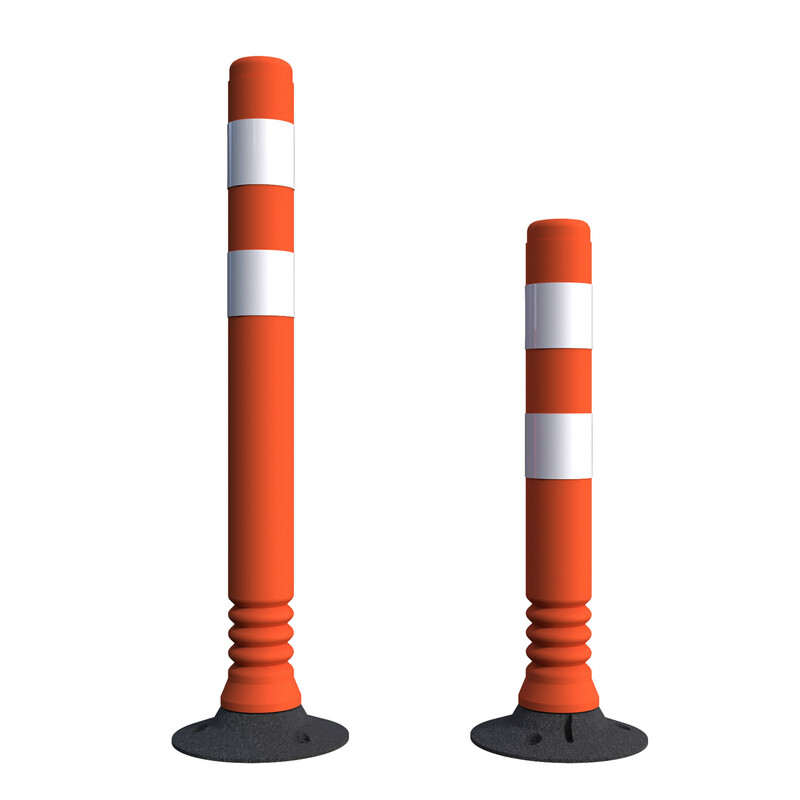 The flexi-post can be used in two ways that can be considered temporary. 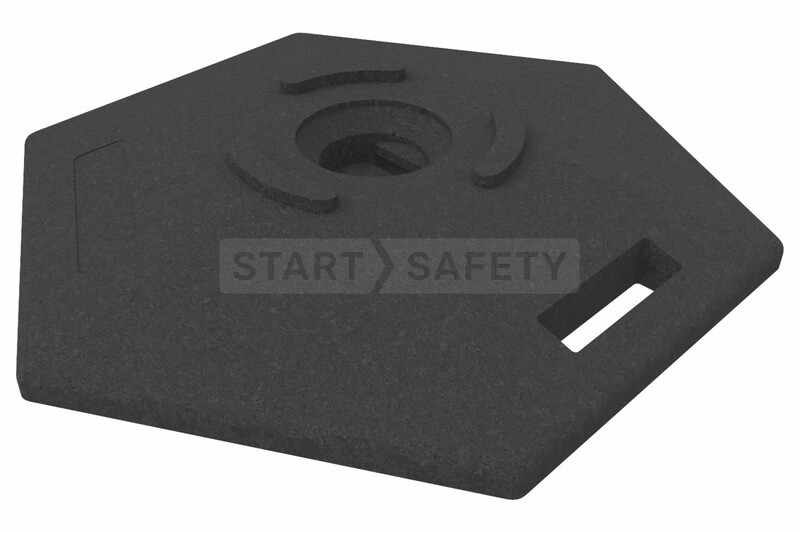 It can be used with the Hexagon Twist-Lock 22.5" diameter base shown above. Or it can be quickly removed from the standard Bolt down Twist-lock static base unit if required. 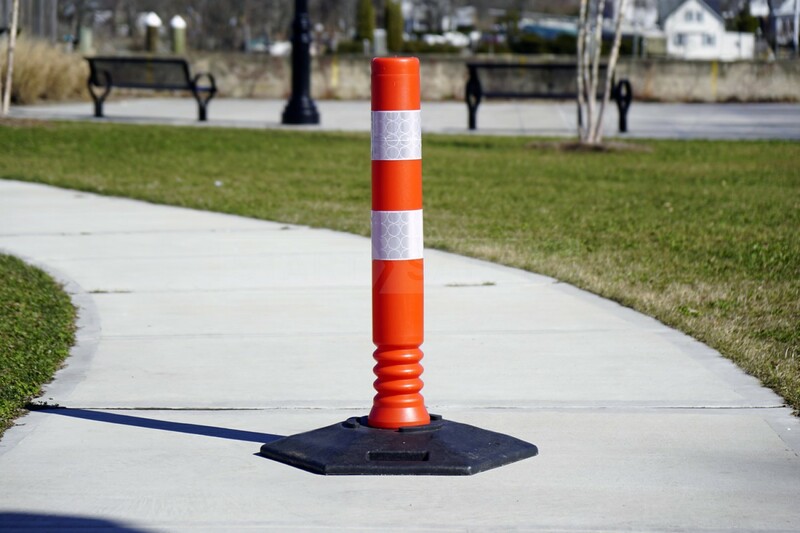 Being able to remove the post from the static base quickly and easily is great when you may need to restrict or open up parking areas at an event or shopping mall. The layout of traffic lanes passing through road construction can frequently change, almost on a daily basis. 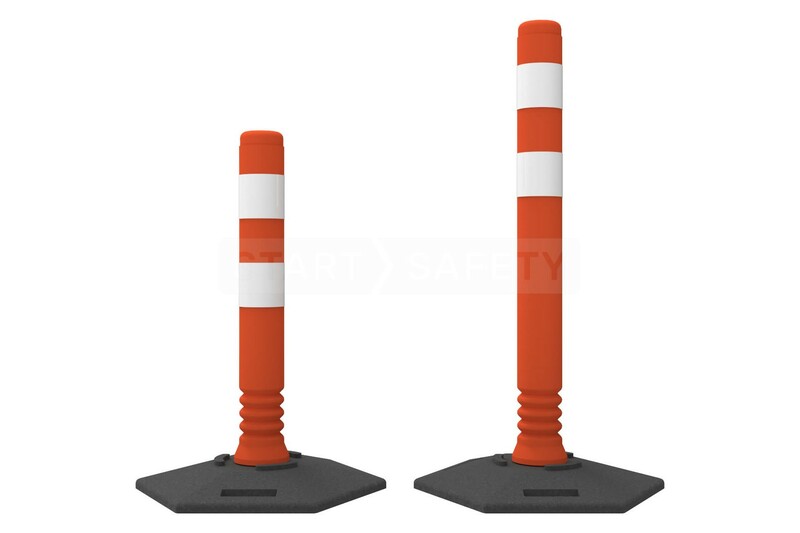 This can be confusing to drivers, the Flexi-Post will assist them in staying in the correct lane by giving a clear and eye level line to follow. 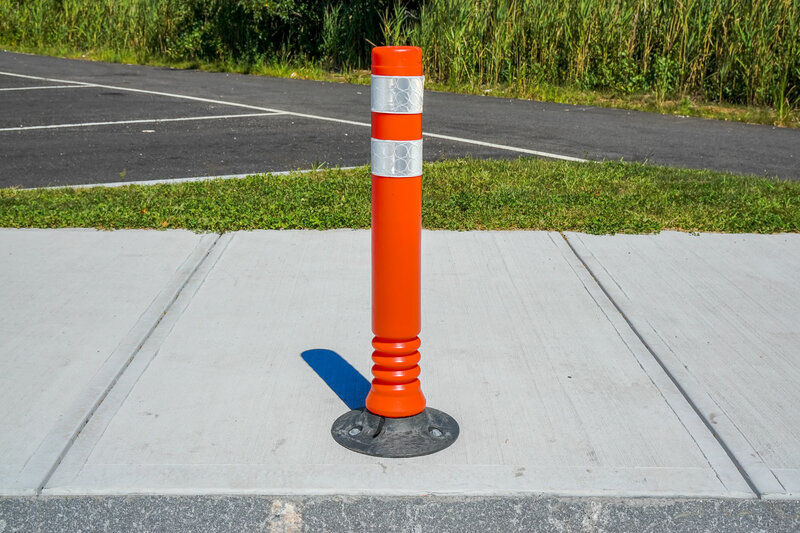 The post is separate from the base unit, and can easily be removed if needed for replacement or just to allow traffic to pass through an area. 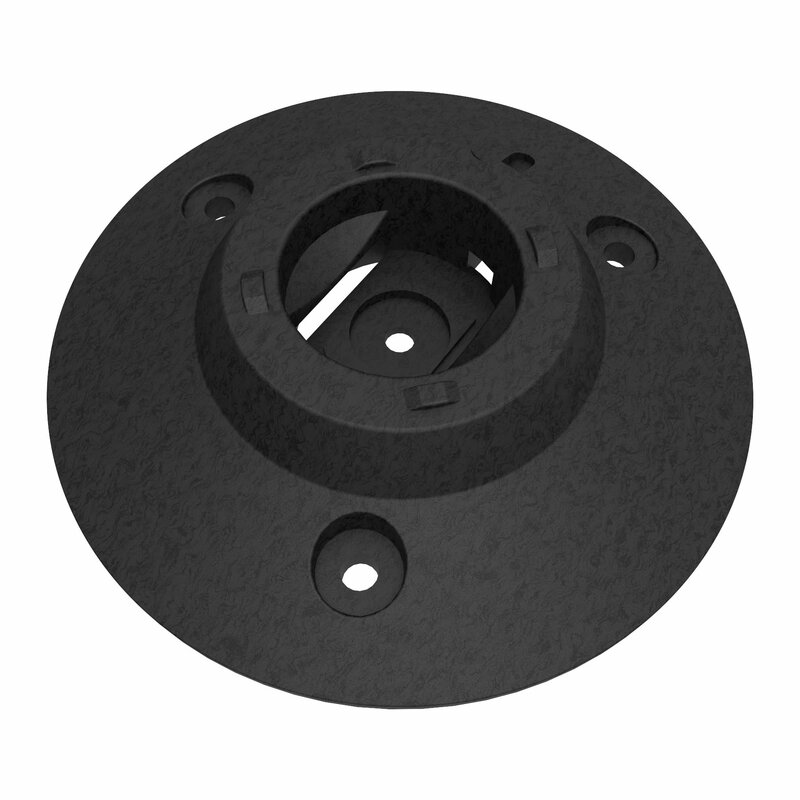 The base can be quickly installed with either one central fixing for short term use or with a total of four bolts for longer term installations. 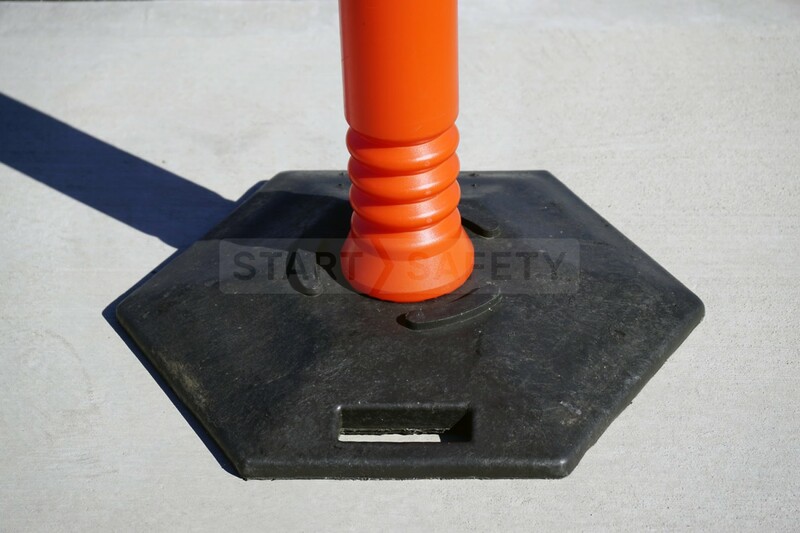 The base of the flexi-post is very hard wearing and made from the same material as our speed bumps. 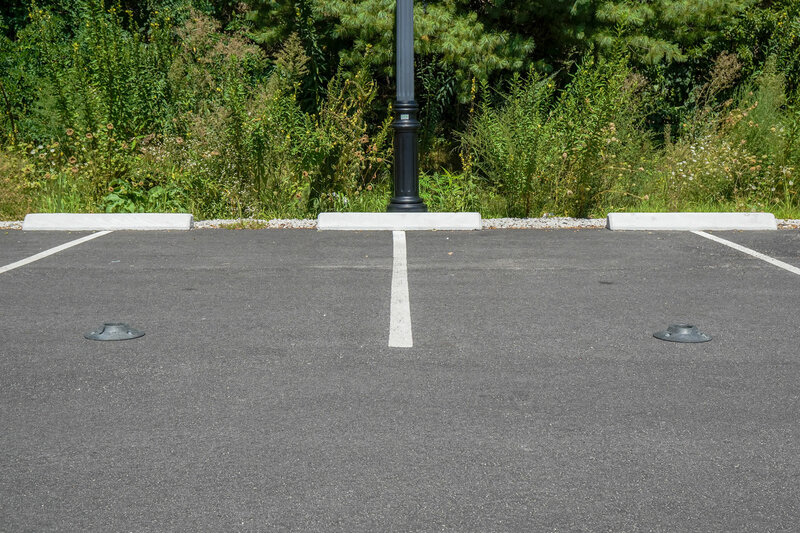 This makes it possible to leave the base in place without the worry of vehicles damaging them. 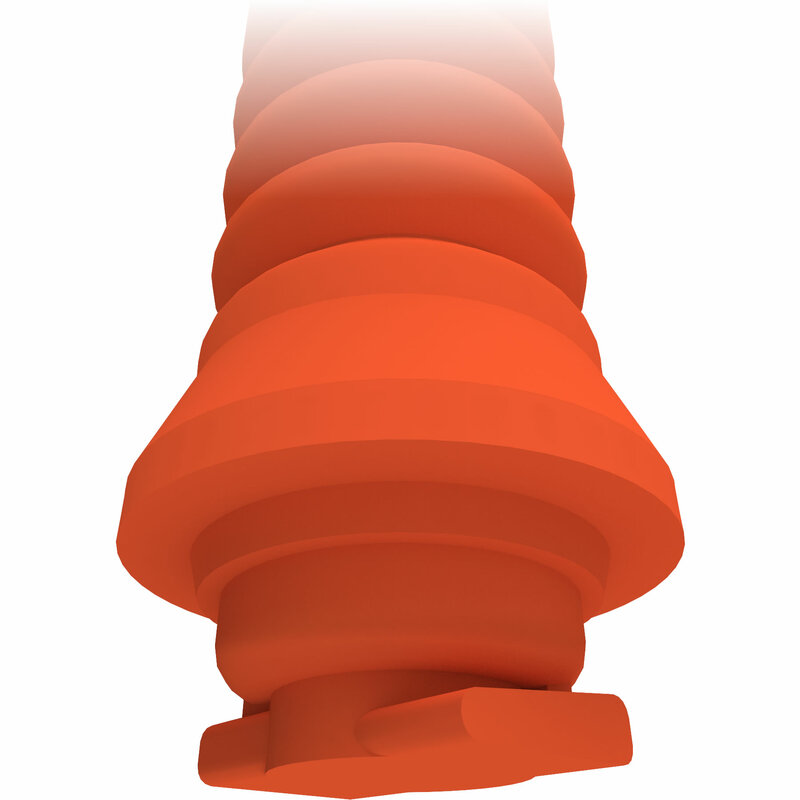 The cylinder fits into the base via a twist lock system, by rotating the post half a turn it can be quickly removed from the base. Ideal for applications where the post is being used to restrict access or close off areas of a parking lot. Just as quickly it can be deployed to another location. 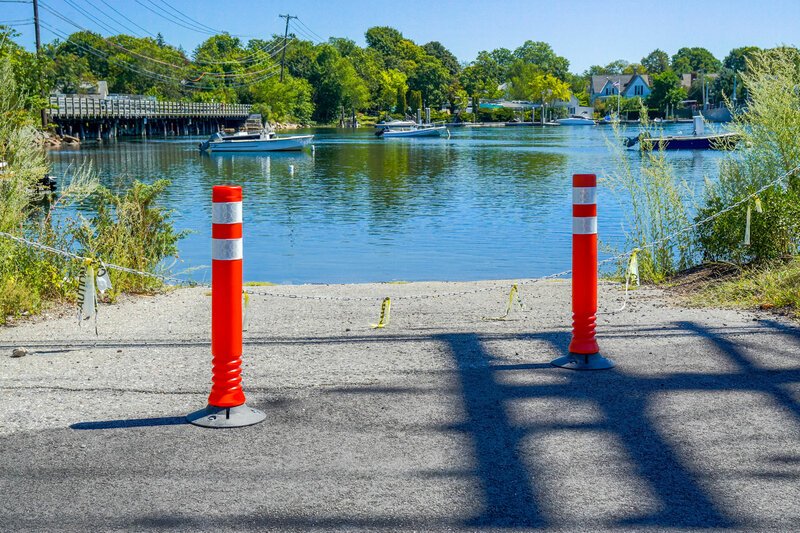 Give us a call toll-free at (800) 671-9662 to speak to our sales team about our flexible delineator posts. They will be happy to help you find the ideal setup for your needs. 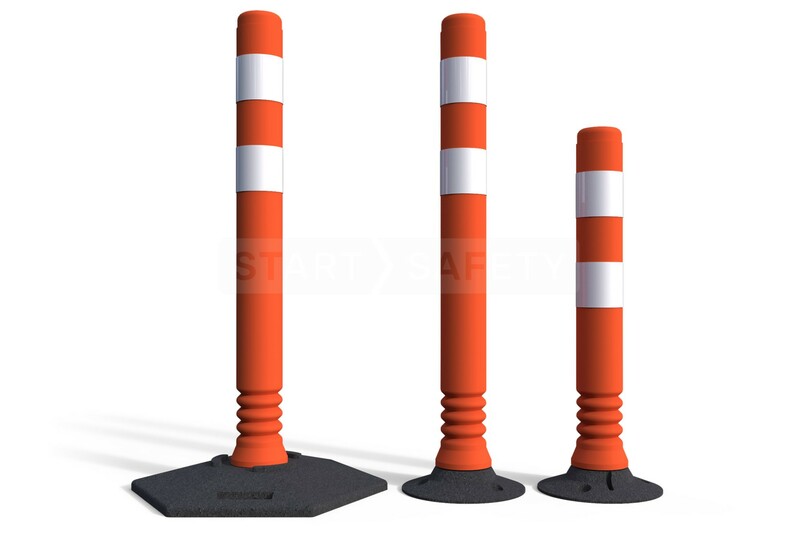 Made from LDPE, our delineator bounces straight back up into shape after being struck by a vehicle. It can do this many times without showing signs of wear or damage. If you need assistance choosing your trench cover then our expert sales team are here to assist you. Call them toll-free at (800) 671-9662. 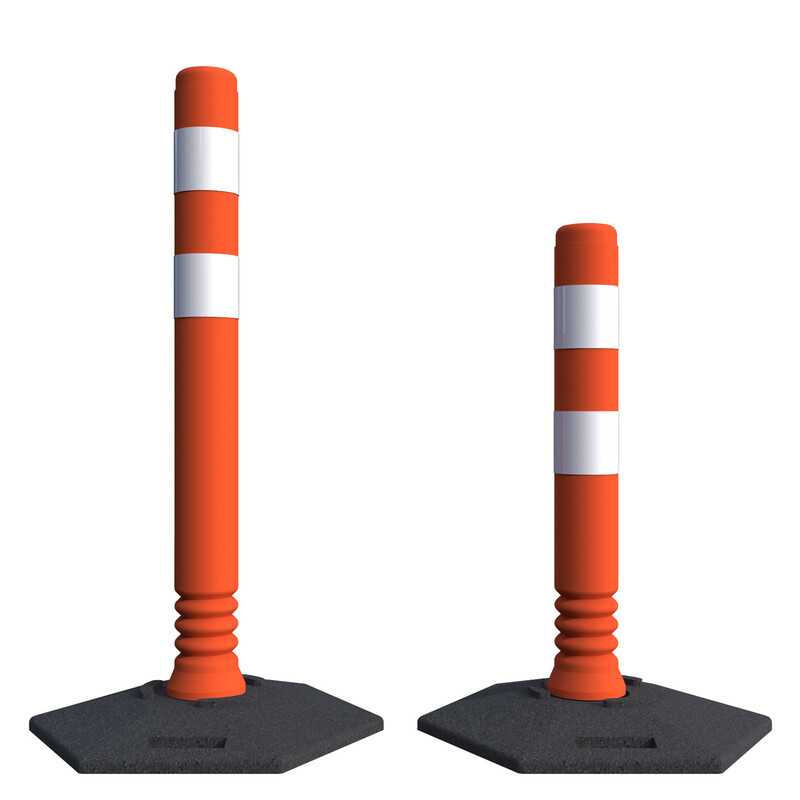 Diameter Posts: 3.9" - Bolt Down Twist-lock Base: 10.8" - Hexagon Twist-lock Base: 22.5"
Height Overall height including either base: 39" or 29"